Even before the end of the American Revolution, Congress had discussions about how to provide a coinage for the new United States. At long last, the Coinage Act of April 2, 1792 established the United States Mint in Philadelphia (then the nation’s capital), implemented a decimal-based monetary system and set the dollar as the country’s base monetary unit. 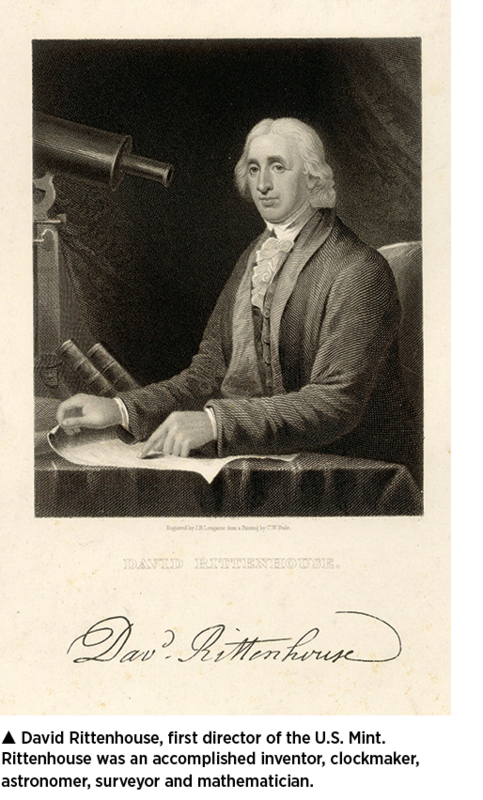 David Rittenhouse was appointed the Mint’s first director. Designs concepts for the new coinage were approved as part of the Coinage Act after some debate. The original idea was to feature an image of the current president on the obverse. President Washington dismissed this as “monarchical” as the images of living people on coins of the time portrayed kings and queens. In the end an image of Lady Liberty (“an impression emblematic of liberty”) was chosen, along with an eagle for the reverse of all but the copper issues. Lady Liberty would be featured on all U.S. issues until 1851. In July 1792 the first coins produced by the U.S. Mint – 1500 silver half dismes (five cents) – were struck at the request of President George Washington and under Rittenhouse’s supervision. They were created in the basement of a facility owned by sawmaker John Harper, close to where the first U.S. Mint building was being constructed. Engraver Robert Birch and painter Joseph Wright served as designers, with Jacob Perkins likely producing the dies. At least one copper pattern piece was also produced. Thomas Jefferson, then Secretary of State, recorded the receipt of the coins on behalf of Washington. The obverse features a bust of Liberty facing left with “1792” below the bust and the legend “LIB(erty) . PAR(ent) . OF . SCIENCE . & . INDUSTRY .” around. The reverse features an eagle with outstretched wings with “HALF / DISME” and a five-pointed star below with the legend “UNI(ted) . STATES OF AMERICA” around. 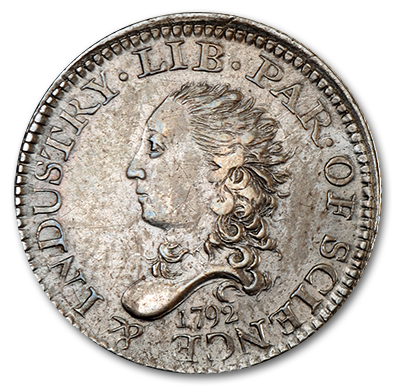 The obverse legend is attributed to Benjamin Franklin and suggests the connection between liberty, knowledge and hard work. In his Address to Congress on November 6, 1792, President Washington stated: "In the execution of the Authority given by the legislature, measures have been taken for engaging some artists from abroad to aid in the establishment of our Mint, others have been employed at home. Provision has been made for the requisite buildings, and these are now being put into proper condition for the purposes of the establishment. There has also been a small beginning of half dimes; the want of small coins in circulation calling the first attention to them." 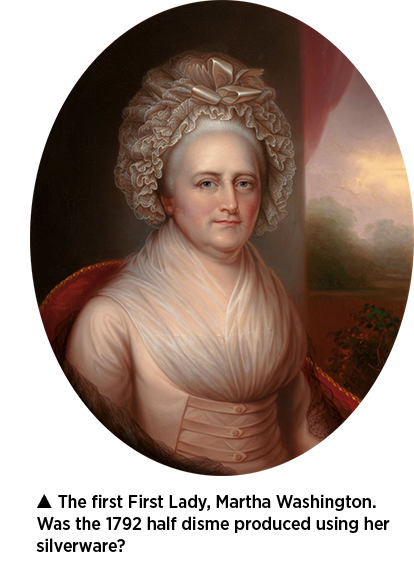 Because the half dismes were so closely tied to President Washington and the belief that Martha Washington served as the model for Liberty, a legend developed that they were struck from the First Lady’s personal silverware. There is little evidence as to how the silver was acquired; it could also have been supplied by the government. The coins were distributed to foreign dignitaries, government officials and others, and many went into circulation. They served as a calling card for the establishment of the U.S. Mint and a formal numismatic announcement of the American republic. Click on the image for an enhanced view. Great blog and thanks for the picture. Because that's the closest most of us will get to it! Articles like this show the true history that many today either do not care or are being taught not to care about. It is our history and we have to remember it! A favorite coin! This coin has so much history, it practically speaks to you. Even non-collectors can appreciate the story of this coin. I never get tired of reading about the coinage of 1792. Thank you! Beautiful coin illustrated and a very informative blog! Thanks! That was the perfect blog ! I needed something like that. Thank you for that great information. 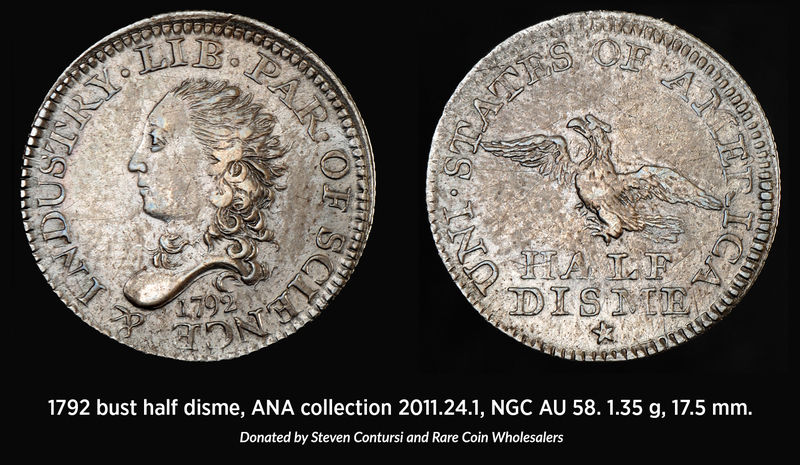 I love a blog with history and a picture of the great coin. It came at a good time . Thanks for your time and work! Great blog and beautiful coin!